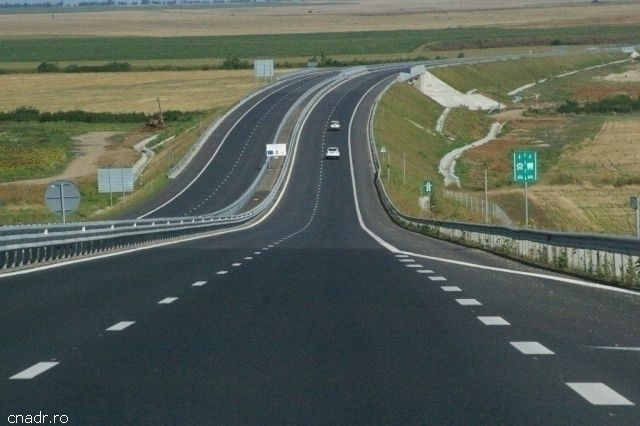 Works on the Sibiu-Pitesti motorway, the first to cross the Carpathians and designed to connect the south to the centre of Romania, will begin soon. In Bucharest, the contract for the first 13-km segment has been signed, with construction set to complete in 4 years. It is the first concrete step taken in the last 10 years, said PM Viorica Dancila. The authorities also signed the contracts for another segment in Bucharest's south ring road and for the underground in Drumul Taberei neighbourhood, in western Bucharest. The Sibiu-Pitesti motorway is one of the major road infrastructure projects, connecting with Pan-European Corridor 4, while the contract for the design and construction of the Bucharest ring road segment will help streamline traffic in Bucharest, the Prime Minister explained. Also, Viorica Dancila added, the Metro Line 5 is another long-awaited project in Romania. Dancila explained that the funds required for completing these projects are earmarked in the national budget, but European funds will also be used. Viorica Dancila: "Signing the contract for the first section, Sibiu - Boita, is the first concrete step taken in the past 10 years towards launching works on the first Romanian motorway to cross the mountains. By signing the design and building project for the 3rd segment of the Bucharest ring road, around 18 km long, we've come closer to completing this project which will help streamline traffic in the capital city." In turn, the Transport Minister Razvan Cuc has urged contractors to comply with the deadlines set for these projects and to show respect to Romanian sub-contractors, while also warning that delays and apologies will not be tolerated. Razvan Cuc: "Start contracts by beginning the design part already, because there are companies that have signed contracts and have managed to shorten the design stage. Stop scorning the Romanian sub-contractors! Pay them in time! I will no longer have people telling me you do not pay the sub-contractors in time, whereas the Romanian government pays all your invoices in due time." The first contract signed amounts to nearly 129 million euros and will take 48 months to complete, said the Transport Minister, while the second will be worth 180 million euros and will enhance mobility for both Bucharest and the localities around the capital. As for the Metro Line 5, it will be rendered operational by the end of the year. The road infrastructure is disastrous in Romania. At the end of 2018, nearly 3 decades after the fall of the communist dictatorship and over 10 years since the country's EU accession, Romania only had around 800 kilometres of motorway, out of which 100 km were built in the communist years.